The bow tie was made with natural high quality bamboo. 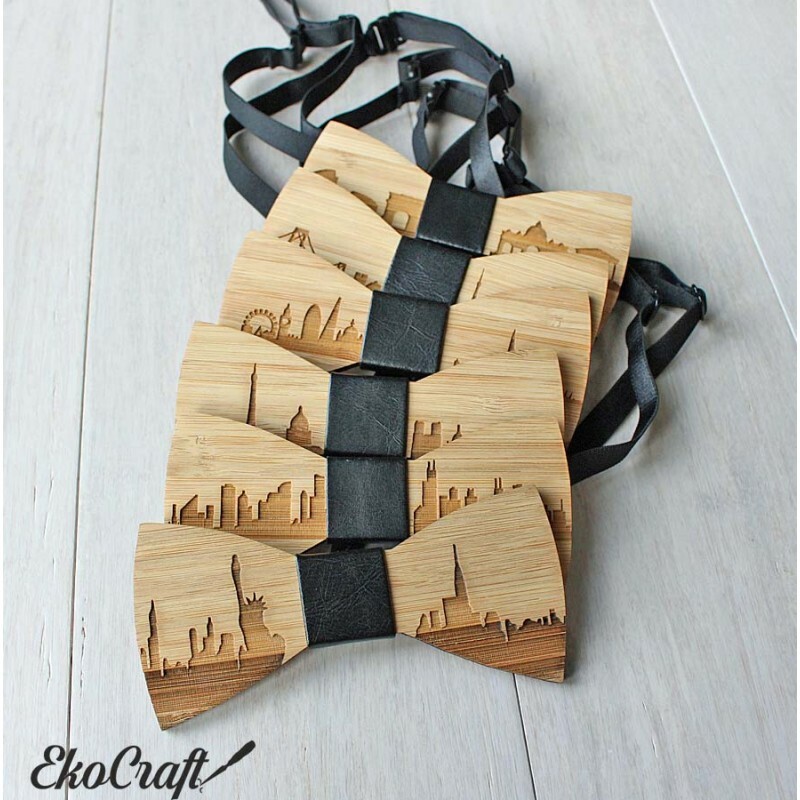 It is an creative engraving of Chicago skyline on the front side. 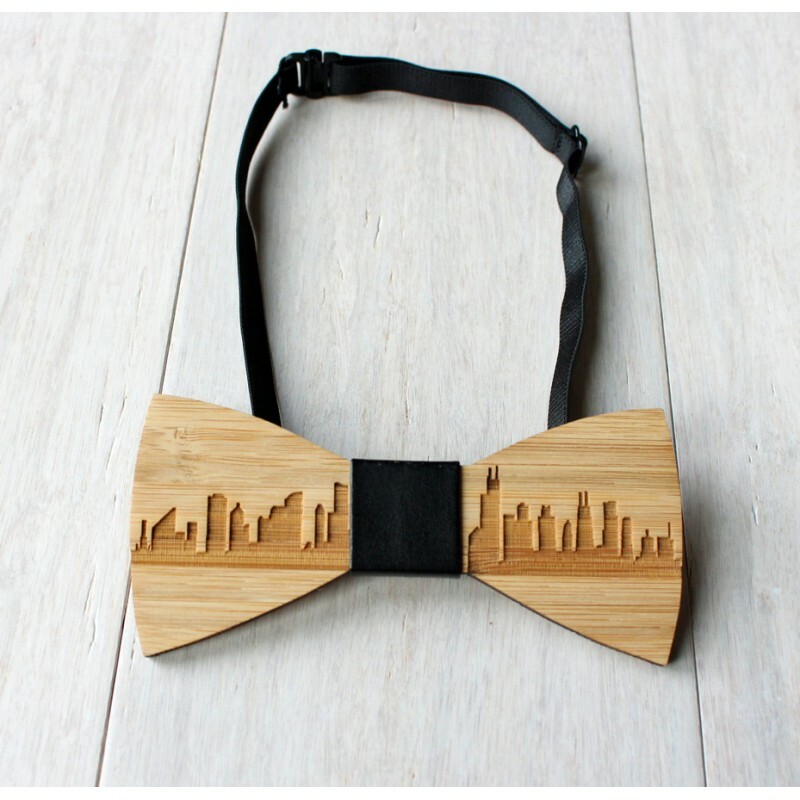 The bowtie was made with natural high quality bamboo. 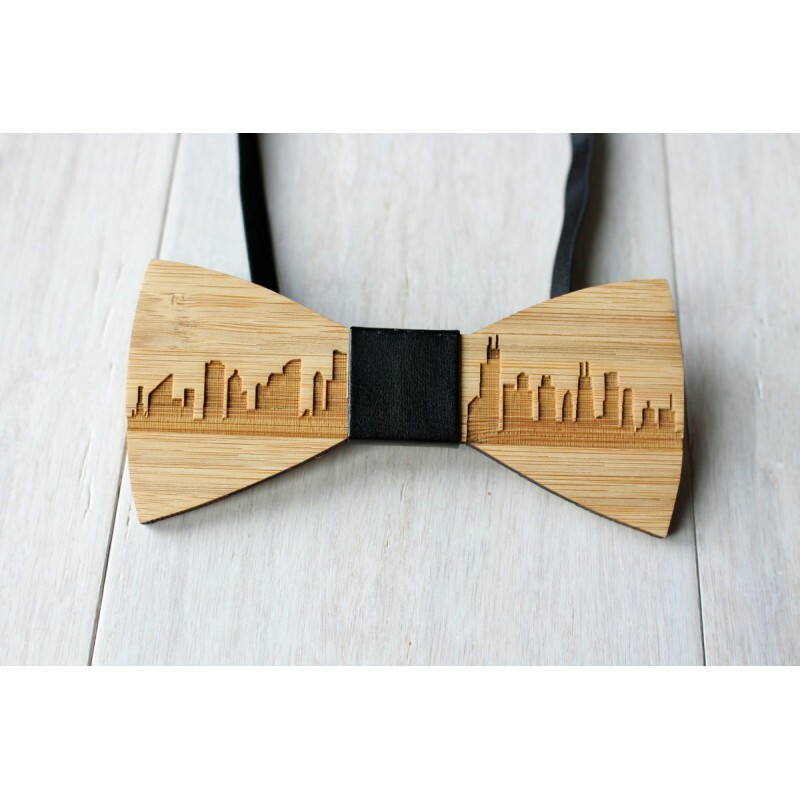 It is an creative engraving of Chicago skyline on the front side.